Loosely based on a real-life event known in Japan as the “Affair of the Four Abandoned Children of Nishi-Sugamo,” Hirokazu Kore-eda’s wonderful new film Nobody Knows tells the story of four children left to fend for themselves in a small Tokyo apartment when their mother abandons them. Anchored by a physically unsettling and emotionally complex performance by Yagira Yuya, for which the 14-year-old actor rightfully won a Best Actor prize at Cannes ’04, the film continues to elaborate on the affecting, memory-obsessed themes that run throughout the director’s Maborosi and After Life. Confidently and maturely directed, Nobody Knows is a film of serene composition whose graceful and emotional narrative takes the pulse of a nation through the tragedy of one family. Not long after his family moves into their new Tokyo apartment, the prepubescent Akira (Yagira) is already cooking for his brothers and sisters while his mother ostensibly tends to a new lover. From his culinary expertise to his tender, father-like relationship to his siblings, it’s clear that Akira has been thrust into this position before. 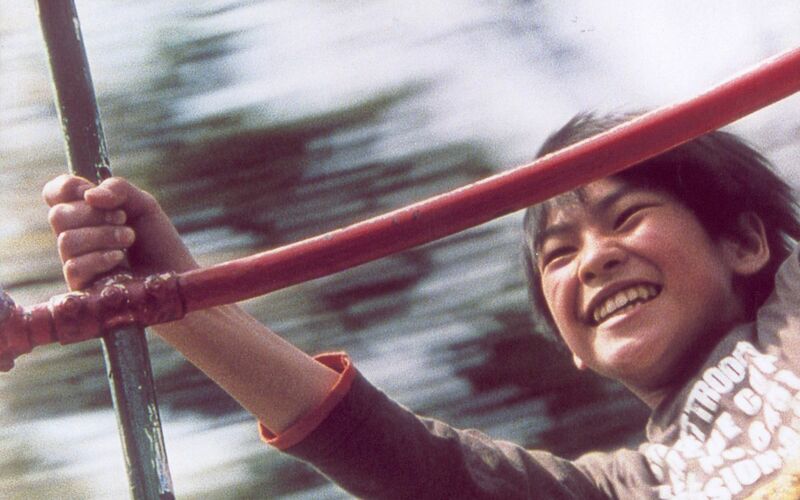 Similarly, the audience gleans the length of the time these children have been left alone when Akira’s sister Kyoko (Kitaura Ayu) notes that her brother’s voice sounds different (earlier in the film, an embarrassed Akira tells one of his mother’s ex-lovers that he doesn’t have pubic hair yet). Forced into an adult role, Akira clearly resents the youthful pleasures his mother denies him; he develops an innocent crush on a local girl that’s dirtied when she sells her voice to an older man for money outside a karaoke bar. By film’s end, Akira is no longer cooking beef stew for his siblings, and in one of the film’s more casually devastating sequences (part of Hirokazu’s genius is that he doesn’t have to try very hard in order to knock his audience off their feet), his younger brother Shigeru (Kimura Hiei) is seen chewing on a scrap of paper. It’s obvious how far they’ve fallen, and though they do not have any money (or electricity…or water), they somehow manage to create happy memories. This point is at the heart of film, which should not be seen as a condemnation of the society that neglects these children (because the children deliberately hide from the world, they’re not exactly “seen”) but a meditation on the solace, comfort, and rapture of familial togetherness.